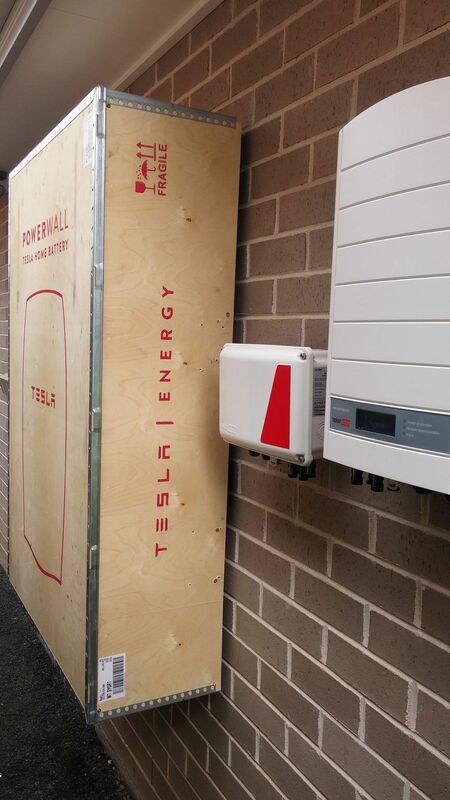 According to Nick Pfitzner, the Tesla Powerwall is "a thing of beauty." 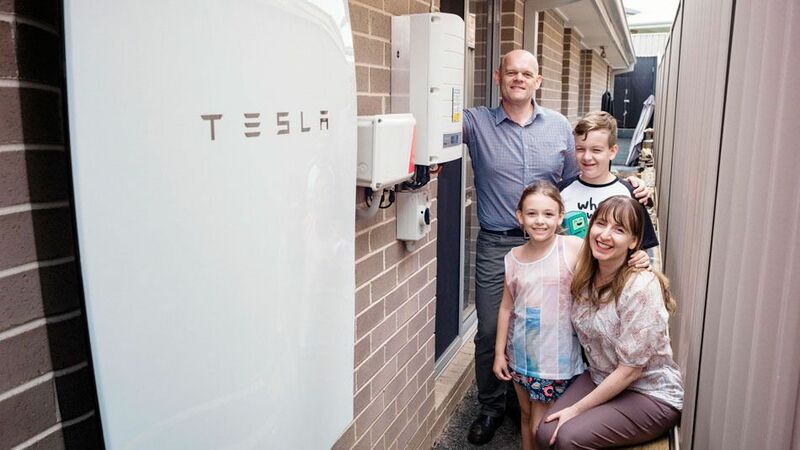 Pfitzner, who lives in Sydney's Hills District, was one of the first homeowners in Australia to have the highly anticipated energy storage battery installed at his home on Thursday. Tesla announced in September it would be bringing the Powerwall to Australia, with a spokesperson telling Mashable Australia the country had been "prioritised as a market" due to its high number of solar energy users. The father and IT worker told Mashable Australia he had been tracking the release of the Powerwall since April 2015 when it was introduced by Tesla CEO Elon Musk, and waiting for Australian installers to put their hands up for the product. He put a deposit down with Australian solar company Natural Solar a few weeks ago, and chose to have the 7kWh (kilowatt-hour) unit installed along with a converter and solar panels. "There's obviously an underlying financial argument for having your own battery and leveraging the panels as much as we can," he said. By storing excess energy generated by solar panels during daylight hours, homeowners can become less reliant on the electrical grid in the evenings and when power prices are higher. According to Pfitzner's calculations, for his family, there should be a return on investment in less than eight years. "If [power] prices go up, or in the likely scenario we get a carbon tax back, it's going to be good." Not content with simply installing the Powerwall, Pfitzner said he is planning to look into reselling his stored excess power at peak times. "That's the next step," he said "With solar power, I can resell a little back to the grid." While Pfitzner describes himself as a big Tesla fan â€” "If I get a call from Elon Musk any time soon, I'll faint" â€” he's not yet a Tesla vehicle owner. "I have been following Tesla since the Roadster. I'm keeping an eye on the Model 3 to see it it's viable financially for us," he said, referring to the cheaper Tesla car the company has said is in the works. He's not a full-blown environmentalist, but Pfitzner realises he needs to play his part in fighting climate change and thinks the Powerwall can help. "I'm not a greenie, but we need to start doing something." 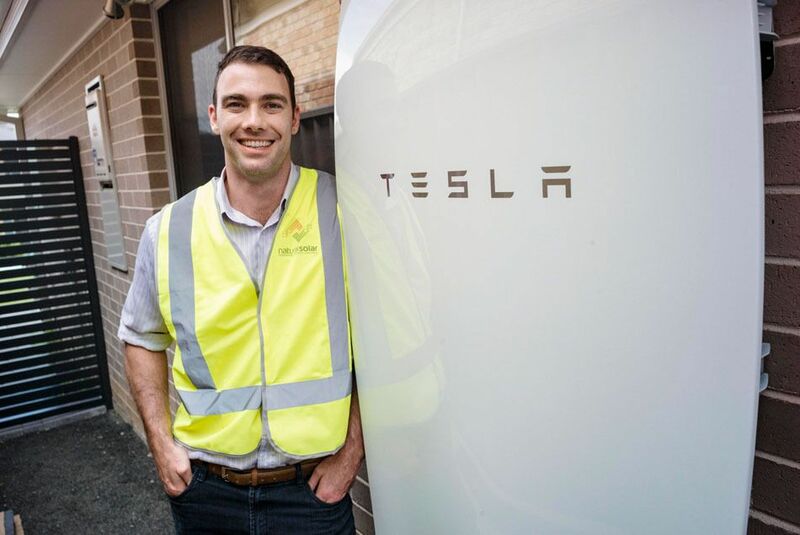 Interest in the Tesla Powerwall in Australia has been extraordinary, Chris Williams, managing director of Natural Solar, told Mashable Australia. "The response since we announced it has been unprecedented, and that has flowed through to a large number of orders," he said. "It's really a pivotal moment in the renewable energy industry and we're proud to be a part of it." Over the coming weeks, Natural Solar will be rolling out Powerwalls in homes and businesses across Australia, but Williams said they gave Pfitzner a head start as he was one of the first customers to book and was very enthusiastic. "He was a perfect fit, we returned the favour and gave him the first install," he said. Natural Solar, like some other approved Powerwall installers, is offering customers three options: A full installation, which includes solar panels, the compatible hybrid inverter and the Tesla Powerwall; a retrofit solution, which allows the company to install the Powerwall and the inverter where the homeowner already has solar panels; and finally, installing the inverter and the battery in a home without solar panels. "[That's] a very exciting part of the market," Williams said. "We can store power from the grid at the lowest price part of the day, and then draw it back in the peak hours of the day and avoid paying for peak power. On a unit block, for example." Williams sees big things for the energy storage market in Australia. "The honest truth is the growth year on year is going to be a quantum leap," he predicted.